Apple’s brand new 10.5-inch iPad Pro and just updated 12.9-inch model are now available in the company’s retail stores. Both models were introduced last week at Apple’s annual Worldwide Developer Conference in San Jose, California. 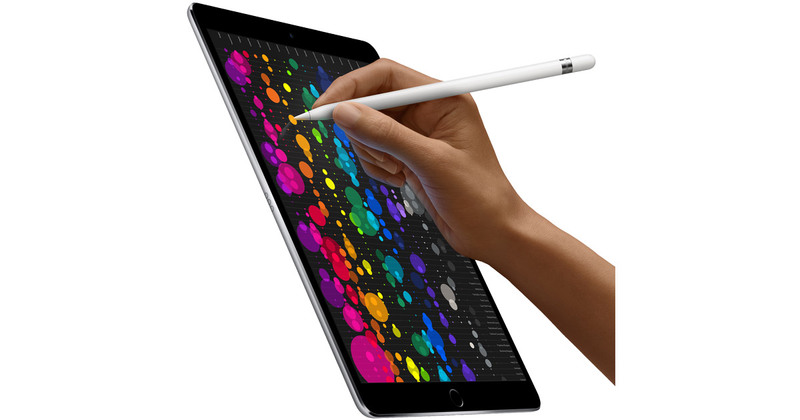 The new iPad Pro models sport Apple’s A10X processor, embedded M10 processor, ProMotion Retina displays with True Tone wide and wide color gamut, 802.11a/b/g/n/ac WiFi, Bluetooth 4.2, Touch ID support, four speakers, front and rear-facing cameras, Smart Connector and Lightning connector. Both models are available in Space Gray, Gold, and Silver in 64 GB, 256 GB, and 512 GB capacities. The 10.5-inch version is also available in Rose Gold. The Mac Observer’s checks showed the 10.5-inch model in stock in every store we checked. The 12.9-inch model, however, was hit and miss with some locations showing it wouldn’t be in store for at least another week. Pricing for the 10.5-inch model starts at US$649 for the 64 GB model, and $799 for the 12.9-inch 64 GB model. Both support Apple’s $99 Apple Pencil.